Canonical today announced that it will bring its Ubuntu 16.04 operating system to the Samsung ARTIK™ internet of things ecosystem. The Samsung ARTIK platform is a fully integrated chip to cloud and production-ready Internet of Things solution, designed to help companies accelerate their product development process, reduce time to market, and improve total cost of ownership for their IoT products. 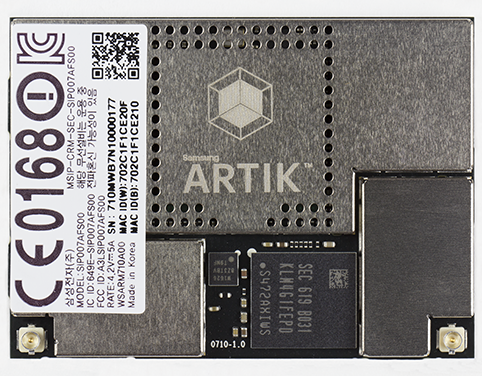 Through the new partnership, the Samsung ARTIK 5 and 7 family of modules will now incorporate Ubuntu 16.04 as its primary Linux distribution, combining Ubuntu distribution with ARTIK customization, platform software and the ARTIK integrated development environment. The move to Ubuntu will bring greater long-term support to ARTIK’s developers and users, providing five year maintenance and security updates. This maintenance will build on the current one year update cycle of ARTIK’s existing Linux distribution. These regular updates and releases will align with Ubuntu’s long-term support schedule, allowing for stability and predictability across IoT, server and desktop releases. Developers will also benefit from support for numerous connectivity options including Wi-Fi, Zigbee, Bluetooth in addition to audio, video and graphical frameworks. Mike Bell, EVP of Devices and IoT at Canonical said, “Through this partnership, Canonical will further cement its longstanding commitment to the internet of things and continue to expand Ubuntu’s growing network of applications within the IoT space. More information about the Samsung ARTIK platform and development tools can be found at https://developer.artik.io. More information on Ubuntu 16.04 is available at https://www.ubuntu.com.